What is the definition of early intervention? The term refers to services provided to very young children with Special Educational Needs (SEN), generally from birth until the child turns three. In some places they are also made from birth to 6 years. If your child has SEN and needs these types of services, you will need to learn about early intervention in special education services and why they benefit children with special needs and their families with this general description. In addition to knowing what services are provided in your community and know how they can help your child to improve their skills. They are provided in a specialized center or CAIT (Early Childhood Care Center) or in the child’s home. The objective of these services is to provide the children as soon as possible with the care they need to treat any obstacle and development so that the child does not need this type of services later. If a child over 3 years old needs to continue with a Special Education intervention, he or she should be in school most of the time at a specific center. Your pediatrician will be the one in charge of sending your child with SEN to the necessary services so that they can be attended to in early intervention in your locality. If you are referred by the pediatrician, the costs of these services are usually free. Your child will be evaluated by therapists and child education experts to identify problems that may respond to early intervention. Each community has certain disabilities or conditions that automatically qualify a child for early intervention in special education. The evaluation will inform a Plan of individualized family services, which will establish the plans for the early intervention of your child. If you have doubts, your pediatrician will be able to inform you about these issues depending on where you live. In addition to obtaining the assistance of your child with the first development milestones, early intervention can be a milestone in your upbringing. It will mark your first experience with evaluations, team meetings, documents full of words you may not understand at first that reduce your child’s scores and apparent potential, and useful people who know more about your child in some way than you … But do not despair, what matters is that your child is growing happy by your side. Think that all this is for the good of your little one, so that he can strengthen all his capacities from very early. Some parents postpone receiving early intervention in special education services for their children. They can reason that their child is slower than others and that they will reach their peers soon enough … This is not only an illusion, it can also be detrimental to a child’s potential. Early intervention offers a child the best bet for success in the future, so do not avoid these services when you have the opportunity to have them. Among the most prominent biological risk factors are premature, low weight at birth, intramuscular asphyxia and stay in neonatal intensive care units. These situations can trigger mainly neurological problems and sensory alterations. In this group we have to consider newborns with neurological risk, newborns with visual sensory risk and newborns with sensory auditory risk. Disadvantaged sociology-economic environments, drug addiction, the abandonment of the child by their parents, the absence of one of the parents, the mistreatment and, ultimately, the sociology-environmental risk factors that can jeopardize the development of the child, make it necessary to have compensation for the shortcomings that arise from these situations. It is about ensuring a vital context that provides care, security and affection to grow, mature and develop in this evolutionary stage so vulnerable to environmental influences. disorders can be considered as alterations of the normal evolution of the biological, psychological and social dimensions of the child, which derive from problems related to health, with the presence of disabilities, with cognitive alterations, with problems of motor skills, with a communicative-linguistic deficit or with limitations in sensory perception. These disabilities can generate transitory or permanent needs that will require early psycho-educational intervention to improve the course of development and the potential of the child. Reduce the effects of disabilities or disorders on the development of the children cared for and their families. specific needs of each child and family. Reduce as much as possible the appearance of deficits associated with developmental disorders. Attend to the family in all its demands and needs. • Address the natural contexts of each child and family. First of all we must understand the meaning of Early Attention . In the White Paper, it is defined as the “set of interventions aimed at the 0-6 year-old child population, the family and the environment, which aim to respond as quickly as possible to the transitory or permanent needs presented by the children. children with disorders in their development or who have the risk of suffering them. These interventions must consider the child’s global nature and must be planned by a team of interdisciplinary or trans disciplinary professionals . ” But this, what does it mean? 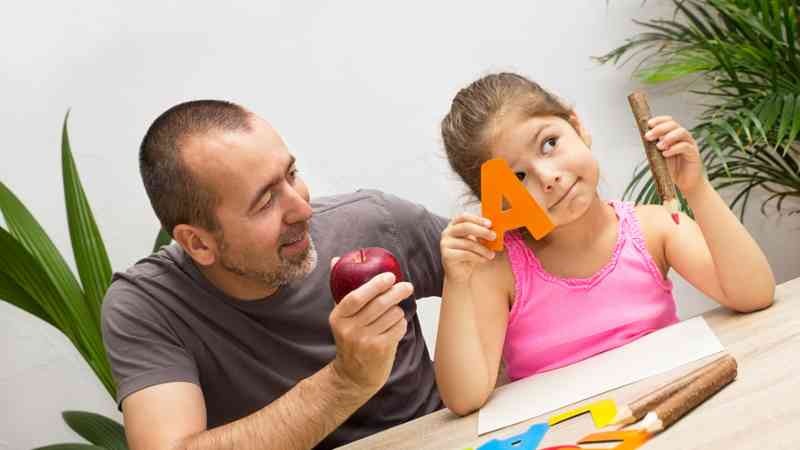 Early Attention is a preventive therapeutic technique that aims to achieve maximum development in the child. It is mainly aimed at the early childhood of children (from 0 to 6 years old) that present or may present alterations in their evolutionary development. Many studies talk about the great learning that children acquire from the time they are born until they are five years old and dare to affirm that it is the basis for later learning since they help them to acquire the social, emotional and communication skills they will need to succeed in school. school and in the world of work. This specialty has undergone an evolution since its inception. Until the 70s, treatments were focused solely on the child. In the 8, known as Early Care, began to take into account families and awareness of the important role they had in the development of the patient. Years later, the borders would be opened and it would end up including the rest of the environment that encompasses the child. In addition, justifies one of the directors of Madrid of these centers, which states that “children are very receptive, your brain is like a sponge. It is proven that everything we do now is going to be amortized in the future . If we detect a problem soon and treat it when they are small, we undoubtedly improve their quality of life while at the same time reducing or avoiding other types of support or assistance that may have to accompany them throughout their development ” . Early Attention today has a more global character and tries to avoid or minimize the appearance of alterations in development . Therefore, these actions are not only aimed at children who suffer from a physical, psychic or sensory deficit, but also at those who may have maturing or adaptation problems (known as high risk children) and at children without an obvious pathology. .
As we can see, early attention is a topic of special relevance for the optimal development of the child as well as for his insertion. Early care is a topic that is gradually developing with greater interest and of which there are more and more specialized people for early detection and help the optimal development of children. Finally, early intervention in special education or early childhood care is a therapeutic-educational process that specializes in promoting and promoting the harmonious development of the child, stimulating and / or rehabilitating the capacities altered totally or partially by congenital or acquired conditions, moderating their effects and working preventive in children of high biological, sociology-environmental and mixed risk. Early intervention in special education aims to develop and enhance the brain functions of children through repetitive games and exercises, both in the intellectual, physical, effective and social. The importance of this stimulation at the earliest ages lies in the fact that it allows laying the foundations to facilitate harmonious and healthy growth, fix your attention and awaken your interest in the events of life, as well as for the subsequent learning and personality of the patient. ← What is early education?